Jenefa Solutions help to take root on the web organically with correct planning and excellent implementation of social media marketing. When people are engaged with a brand in a positive manner, it reinforces their goodwill and spreads a wave of awareness. 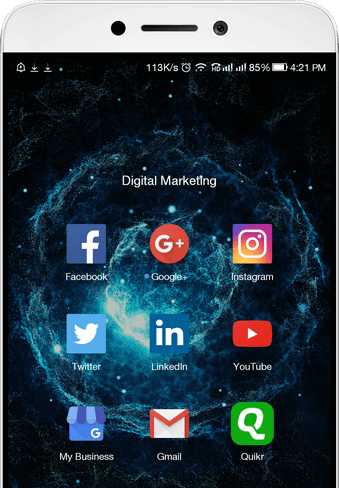 Digital marketing, in turn converts casual visitors to ardent customers and provides a single platform for all to engage, communicate and rejoice. Advertising through social media is a trend of marketing. But how is such a grand vision achieved? Who are the audiences to target and what is the best method from among the myriad possibilities? How Digital marketing helps to build your online presence? do we effectively engage and capitalize on opportunities? What is the best way forward? What is a good ‘nurturing’ strategy? How to build and maintain trust online and ensure consistency in all activities and endeavors?. We plan on above all questions to build a strong digital presence. Join with Jenefa Solutions and open the doors to infinite possibilities in your business.